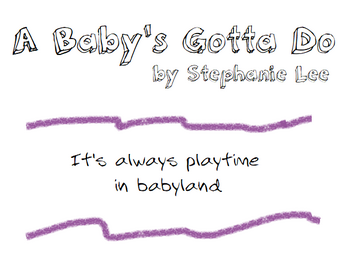 It's playtime in babyland, and your resident Growed Up has a story to tell you - if you'll let them. 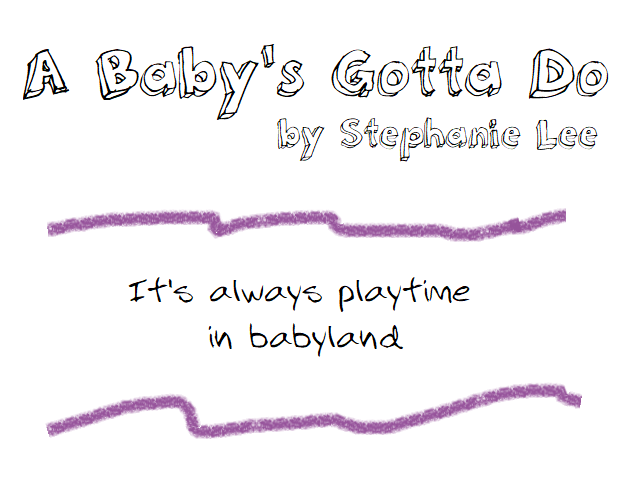 A Baby's Gotta Do is a fun, short tabletop roleplaying game that fits on one standard printed page. You play as babies, led by your Growed Up, and try to complete your baby goals while thwarting the adults' goal. What will your goal be, and what kind of baby are you? This game is suitable for all ages and skill levels. It requires 2d6, but I suggest playing with some snacks and crayons for more fun. Pay what you want or download the main game for free! If you pay the suggested donation of $2, you'll get the baby sheet and extra tables printables as well as the main game. The baby sheets are two-per-page character sheets, large enough to be filled out in crayon. The extra tables are examples and details for the quirks and baby goals you need to make your character, as well as examples for the Growed Up to choose a scenario/adult goal.